A call out to Australian Brow and Beauty Professionals to help our Farmers in Crisis. It was early July 2018 and I was scrolling through my regular social media pages when a photograph caught my eye. It was a dramatic aerial shot showing a convoy of semi-trailers as far as the eye could see. It was evening and they all had their headlights on as they were driving on a long dirt road and appeared to be on a mission to attend something. As my grandparents were from the rural NSW agricultural township of Gunnedah, home of AgQuip – one of the World’s largest Primary Industry Field Days – I initially thought it was an advertisement for some kind of Truck Expo or other Rural Farming Convention of some kind. On closer inspection, I read that the caption was actually expressing how rural Australia was being affected by “Australia’s worst drought in living memory” and was calling for volunteers to assist in the transportation of hay bales and grocery items to farmers in what appeared to be hard to reach areas. They were expressing how fuel was expensive and they could use some helping hands in any way possible. They needed volunteers and donations. At this stage I (and I believe many others) had no idea just how dire the circumstances were becoming for many of our rural areas and the farming communities that rely so heavily on the produce from the Land. AUSTRALIA IS IN DROUGHT. I live and work in the city so there is a lack of comprehension of just how devastating life has become for many farming communities. There’s a drought? Really? Apparently it has been going on for quite some time but we are not aware or remotely concerned about what happens outside our city walls. Watching one particular new article on TV reporting the desperation of some farming families who were resigned to eating out of cans so they could retain enough money to feed their remaining livestock, I was ruined. The tears streaming down my face as these brave souls broke down in front of the cameras recounting their stories. Never asking for help and never giving up. These farms were their livelihood and their life. I really had to do something. Now! That night I sprang into action. I attempted to find the initial photograph that I saw on social media – but to no avail. So I began searching for ways in which to donate to one of the Rural Aid organisations. I couldn’t remember who it was that had posted that picture but I happened across an organisation called Buy a Bale. Hmm … “Buy-a-Bale”. Now I’m a sucker for good puns, clever rhymes and punchy alliteration. So coming from a background in Commercial Art, I was drawn to this one. I read their website http://www.buyabale.com.au and decided this was the one I was going to donate my money to. I spent what I could afford but it felt like it would not be enough. My mission was to find a way to make this fit into MY world of Eyebrows? Then an idea hit me: 💡 BROWS FOR BALES. 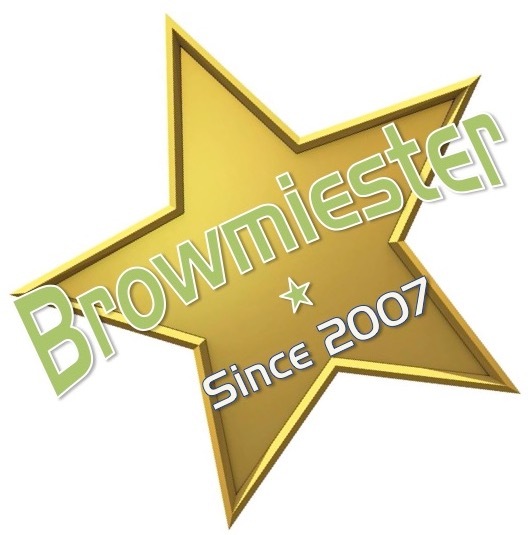 Hashtags were born #Brows4Bales and #BrowsForBales I was now going to save the Farmers with the help of my New Brow Friends … but I needed to broaden the scope. Beauty Salons encompass not only brows and body treatments but nails, tanning and many other service. So I called on Brow and Beauty Professionals to donate a portion of their services to help the cause – #Beauty4Bales and #BeautyForBales were added. #NailsForBales was created and asked to joined my campaign. It is amazing how many salons responded to my call and were willing to jump on board with my cause. All they needed was a little push. As news of “Australia’s worst drought in living memory” became more frequent and awareness was growing, I began to notice more and more salons using the hashtags and creating their own memes calling their clientele and local salons into action. My focus was primarily Brows and Beauty Professionals as I am well aware that hairdressers are continuously donating to cancer charities. However, interest was coming in thick from Nail Salons, Barbershops, Hairdressers, Tanning Salons and even a Beauty Product Distribution Company. To my delight people were recognising that this was important and Salons wanted to get involved. These wonderful people, who were now actively involved deserved acknowledgement, so I created the Facebook page Brows for Bales. This was to be a place that would showcase all the wonderful generosity and somewhere that I could thank participants, bring awareness of our tremendous work to the active and relevant charity organisations and hopefully encourage more involvement. Rural Aid and Buy-a-Bale acknowledged our contributions and thanked us in a blog post on their website. Validation was now set. By this time a number of participating salons were now posting about their charitable achievements and donations to the suggested organisations – like The Farmy Army and Buy-a-Bale and Drought Angels. It was about this time that the TV Stations began to advertise celebrity concerts and charity telethon appeals etc. The general public was now swept up by the reach and influence of their favourite television celebrities. By November, Television was now patting itself on the back letting us know how much money they had procured in pledges. It would seem that viewers were satisfied that they had done enough by tuning in. We had felt a few drops of rain in our concrete jungle so the “Worst drought in Australian history” must be over. During the Christmas period of 2018, whilst visiting the rural town where my family resides, it was bought to my attention that The Land magazine had reported that my chosen “lead” charity had gone into liquidation. How could this be? Now I was suddenly feeling foolish and embarrassed that all my many restless nights trying to rally my professional community was (now) all for nought. Hours of work trying to convince my city-based peers to refocus from their “first world problems” and understand that the reason that their fresh produce was becoming more expensive and less abundant was because … well … there was none. How does this even make sense that a Rural Aid charity – who was helping so many unfortunate Australians – would “go under”? So many struggling farming communities still needed their help. It has since been confirmed that this was not actually the case and that all charitable donations have been allocated to their appropriate designations. Thankfully and to much emotional relief, Landcare Victoria Incorporated (LVI) published an article stating that the Rural Aid Charity Buy a Bale campaign continues! “ Rural Aid has confirmed that the charity’s drought relief campaign ‘Buy a Bale’ continues and since 30 August 2018 has delivered over 20,000 tonnes of hay to drought affected farmers. The website is still live, the donation bank details etc. 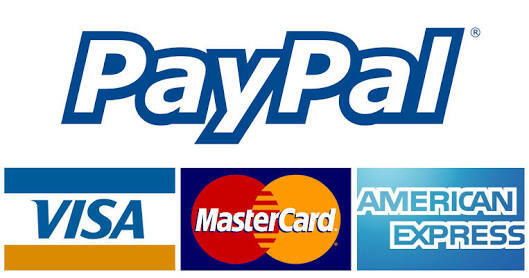 are correct, so donors are still able to access and use the site. Landcare Groups and staff can therefore continue to confidently promote the Buy a Bale campaign to members and the public. Now in March 2019, Australia is still in recovery from this devastating drought and not all farms were able to survive. Many farming communities are still struggling to make ends meet. Donations are ALWAYS welcome. Despite the misreporting regarding the demise of Buy a Bale, please rest assured that any charitable donations made to this Rural Aid organisation will go to its rightfully intended place. My sole purpose in all of this was to bring awareness and hopefully call generous and active community members into action and to donate. I do believe that my peers in the Professional Brow and Beauty Industry managed to collectively accumulate a tremendous amount of funds to help save the farmers and for that I am extremely proud and eternally grateful. As a final note to all the Brow and Beauty Professionals who participated in my BROWS FOR BALES campaign in 2018, I would like to convey my utmost thanks and respect. Thank you all for donating. Thank you all for encouraging your clients and fellow Salons to get involved to help save our farmers. Wow! What an amazing few months. The sense of community pulling together in this difficult time was immense, with pledges and committed involvement as far afield as Perth in Western Australia to Mackay in Far North Queensland to Geelong south of Melbourne as well as many rural towns and cities in between. Every dollar counts and every little piece of help is greatly appreciated. Just know that you have saved lives and added to the longevity of our National Food Pool. I am so proud of you, your contributions and participation. Thank you all so very much. Thank you also to Buy a Bale for allowing us appropriate their logo for our campaign. It should also be noted that BrowGuy and Brows for Bales is in no way aligned or affiliated with Rural Aid or their Buy a Bale subsidiary. Who was it that decided that eyebrows needed to be square, sharp and HEAVY? We don’t all have the same face shape. So how can anyone possibly think that this style would suit them if they have fine, narrow features or pronounced bone structure? Some of us just don’t have the hair growth to carry a strong brow. But overloading your eyebrows with makeup is not necessarily the best way to enhance your features or flatter your face. Too much brow makeup can result in giving you an angry scowl or maybe completely dominate your face in which you lose focus on the appeal of your beautiful sparkling eyes or plump, kissable lips or the amazing structure of your cheekbones. Lush brows with soft edges are so much more pleasing to the eye. Tattooing, feathering or microblading is an extremely popular Brow enhancement procedure in the world of beauty at the moment but it may not be for everyone. It can be an expensive alternative to defining your brows by securing one particular shape to your face. These processes do fade but only slightly. So your technician HAS to get the shape absolutely correct from the outset. You owe it to yourself to definitely do your research if this course of action for brow enhancement is for you. Doing that basic homework before locking yourself into an appointment for a permanent makeup option is absolutely your #BeautyDuty! The Modern Man is a fine example of less-is-more when it comes to Brow Grooming. 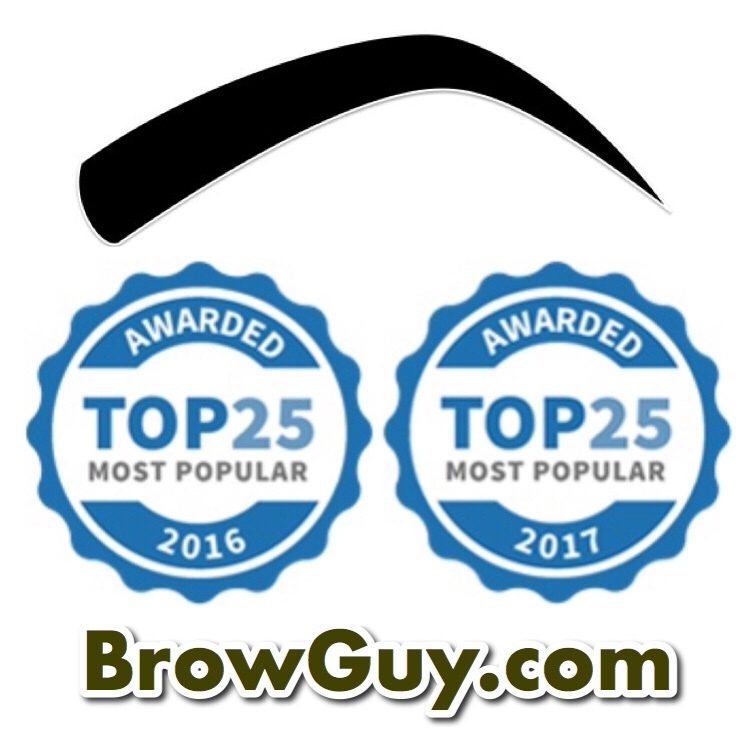 A growing number of guys are embracing the fact that a professionally groomed #ManBrow can still leave them looking natural and masculine. The shape can still be defined by a good tidy up, leaving the lines soft and natural. This can be achieved simply by having the undergrowth cleaned up and the Glabella clear of any Monobrow creepiness. By some crazy twist in the zeitgeist some gentlemen have succumbed to letting “the girlfriend” have her way with the tweezers. 👀 More often than not this usually increases his chances of having an overplucked and surprised lady looking back at them in the bathroom mirror. You could search for pictures more commonly noted as #JerseyBrow but I am not going to post any here. 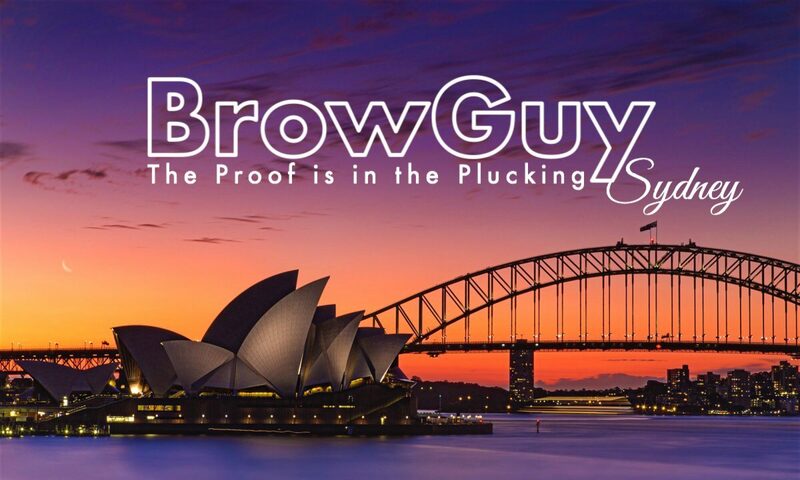 On most occasions it would be best to leave the business of a good #ManBrow to the professionals. Often a well groomed “fluffy” Brow can make quite the fashion statement. Not every Brow needs to have their tops attacked by scissors to create a dead-straight line. Eyebrows don’t need to look like the head of a toothbrush stuck to your forehead. Now, we’re not talking overgrown caterpillars crawling across your face. However a professionally tidied shape with nicely brushed up feathered tips, discretely held in place with a light gel, can subtly express an undefinable creative sexiness. The groomed, more natural and less sculpted style of eyebrow is finally taking its place alongside the precision work most of us are more familiar with. This is not a new trend by any means. However it has taken a couple of years (at least) for people to slowly catch on that there is more than one specific type of eyebrow shape, style or technique which will undoubtedly suit not only their face but also their lifestyle. HEY! Why not try a beautifully groomed “unplucked” creation?